If you want to rank on Google, you need to optimize your posts for readability, engagement, and semantic indexing! 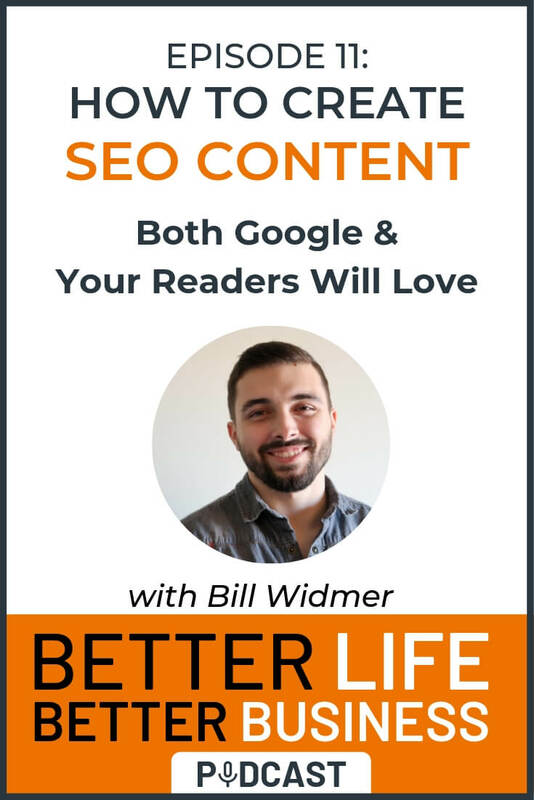 Don't worry—in today's episode, I share EXACTLY how to create SEO content that Google and your readers will love. This same strategy helped me get to over 4,000 daily traffic from Google in less than one year on a brand new site, and has helped our clients do the same. Jump to podcast or keep reading! Get My Content Outline Template! Never miss a step before pressing "publish"
How to create SEO content both Google and your readers will love. How to find & use latent semantic indexing (LSI) keywords—and why they're so important. Advanced SEO strategies to improve your time on page and reduce your bounce rate. A proven strategy to outline content that ranks every time. [4:18] Start with keyword research. [5:17] Once you know your ONE keyword, study the search results. [7:55] Create an outline based on your research (check out my case study here). [12:00] Include some of the semantic keywords you found throughout your content. [12:16] Some final tips on writing.